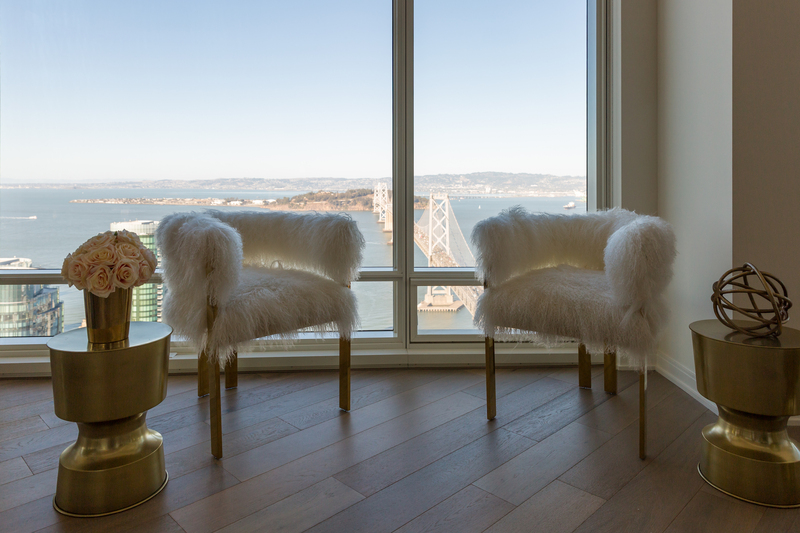 The Harrison Signature Collection is a tempting portfolio of 17 half-floor and corner penthouses on the six uppermost floors of the 49-story residential-only building in San Francisco. 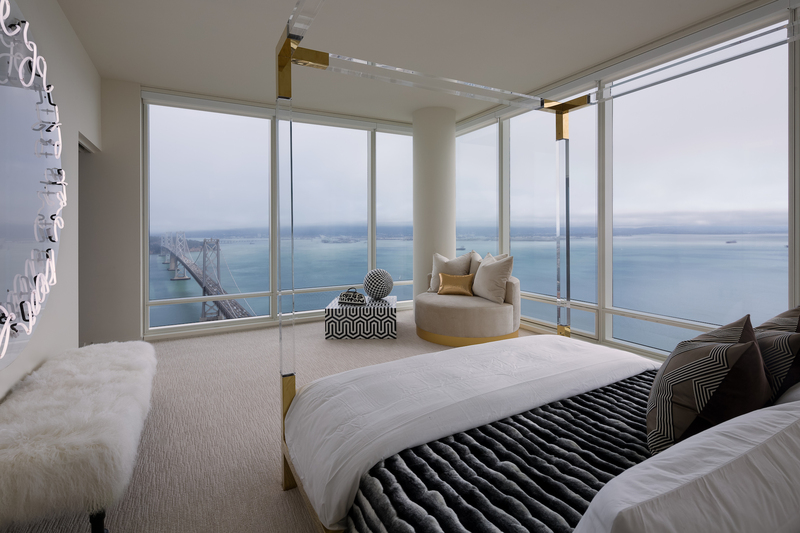 Set atop Rincon Hill, the penthouses reveal sightlines of San Francisco’s most coveted views—the Bay Bridge, Twin Peaks, city and marina. 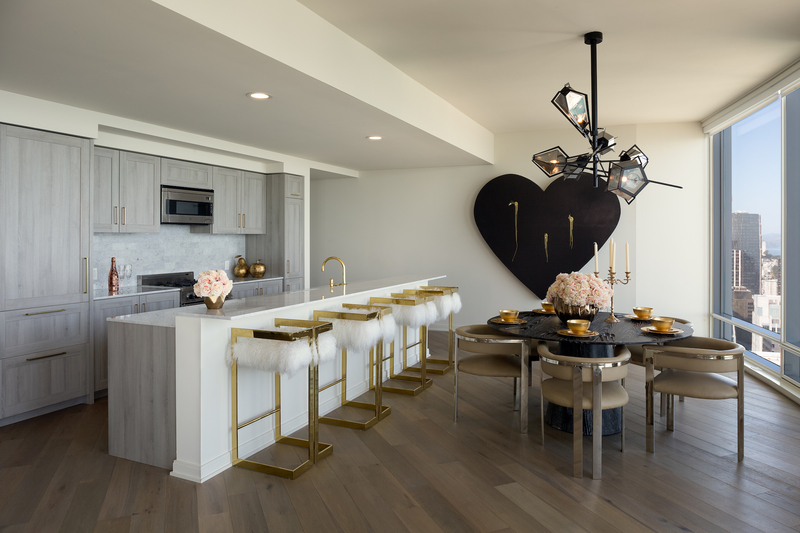 The Signature Collection is on six floors and features five three-bedroom-plus-den half-floor penthouses and 12 two-bedroom-plus-den corner penthouses. 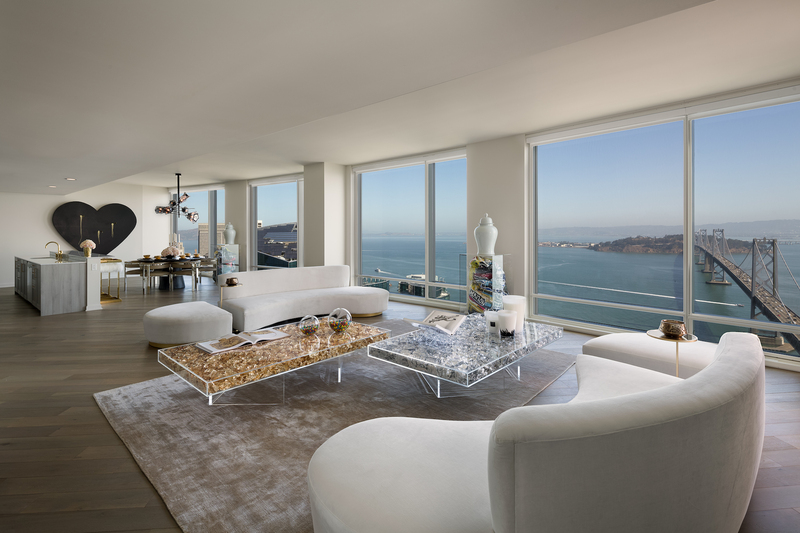 All penthouses include floor-to-ceiling windows, diagonal-planked Siberian oak floors, Bertazzoni appliances, Sub-Zero refrigerators and polished white slab Carrara marble countertops. 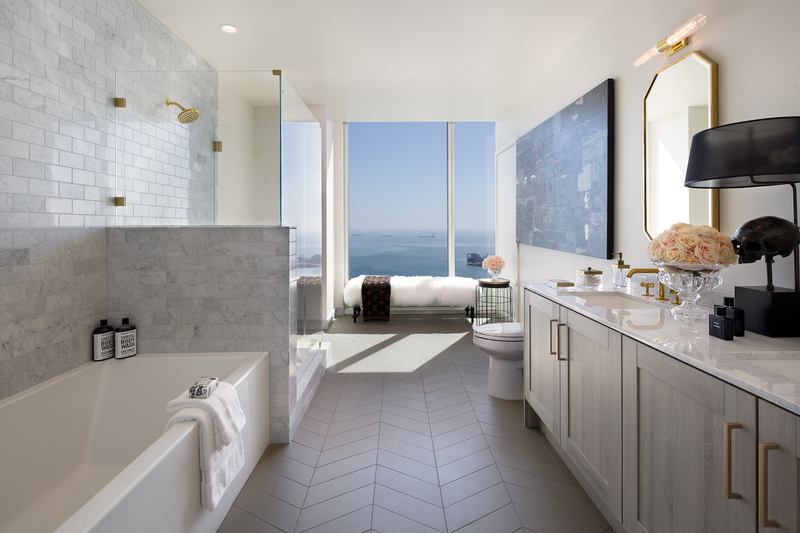 Bathrooms are outfitted with Waterworks unlacquered brass fixtures and herringbone tile bathroom floors. 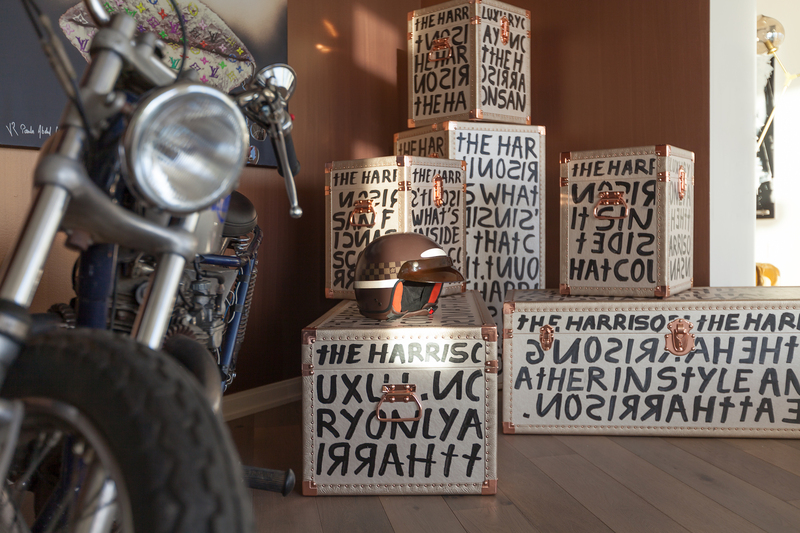 The penthouses are luxuriously furnished, featuring custom-designed graffiti trunks by Alexander Partman, inspired by the artist Jean Michel Basquiat, a vintage Triumph motorcycle, a limited edition Louis Vuitton helmet and Baobab candles. 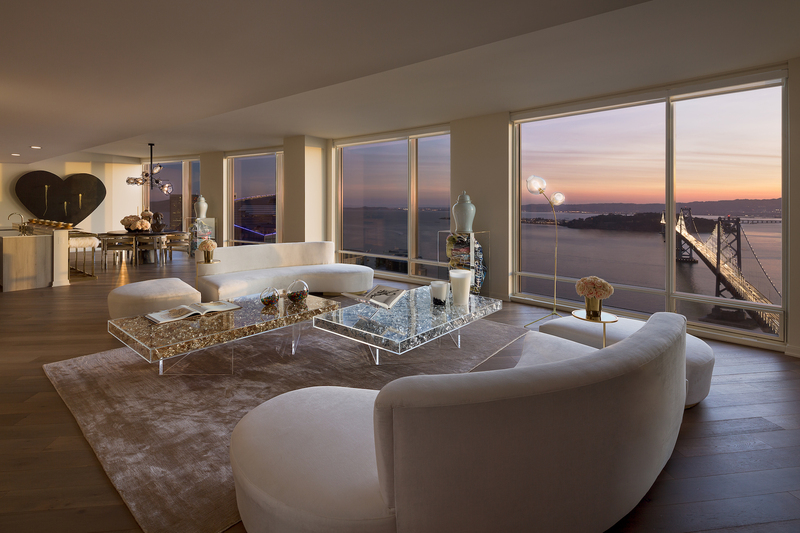 Signature Collection residents have access to The Harrison’s amenities, including a private, 49th-floor penthouse lounge and speakeasy, a private dining room, a fitness center, swimming pool and Jacuzzi. The building also has Luxury Attaché, a dedicated concierge who coordinates everything from dinner reservations to private functions to monthly events. 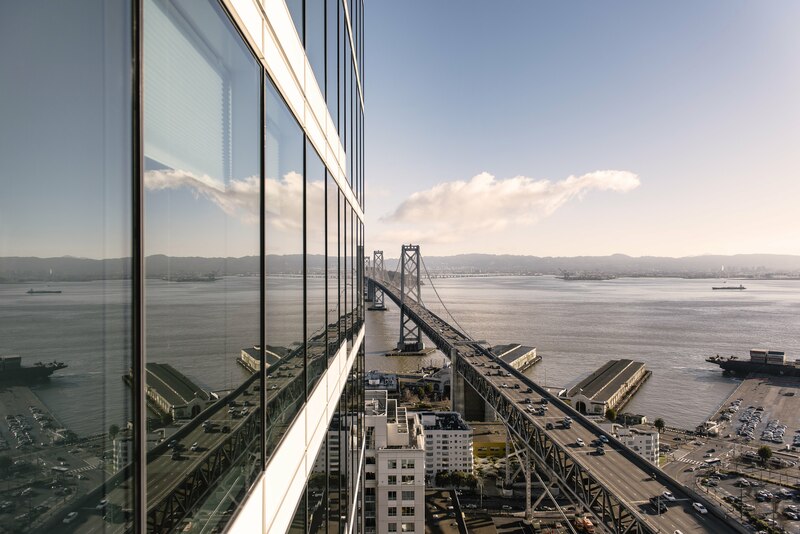 Penthouse residents are also within walking distance to AT&T Park and many of the city’s best restaurants, bars, shops and businesses, including Facebook, LinkedIn and Dropbox, as well as The Transbay Transit Center and City Park, now named Salesforce Park, which will connect eight Bay Area counties through 11 transportation systems. It includes up to 100,000 square feet of retail space and a rooftop park.